→Blogging Platforms Compared ~ WordPress Vs Blogger! Security is one of the most crucial points went it comes to online marketing. At every level, while users struggle to get business going, others struggling to destroy. For a few days now, my friend Jackson and I have been battling to bring back his WordPress blog from the dirty hands of hackers. Generally, WordPress is more vulnerable to these attacks. On the other hand, it has a wide range of tools to cater for its security. Blogger users have put it straight that their platform is the safest. I don’t know how true that is so if you are a blogger user, I’ll like to hear from you below. I’m of the opinion that natural traffic from search engine is the best free traffic for any online business. Both WordPress and Blogger have provided for better onpage optimization either through third-party apps or through innate properties. I have read from somewhere that Google, being the search giant and owner of blogger is giving more search and ranking preference to sites that run on its platform. How true is that? Can you share with us below? For those of you on self-hosted WordPress site, the choice of your host is very crucial. There are hundreds of webhosting companies there. John Stevens wrote a Dreamhost review post so you may want to check it out. Naturally, if you belong to a larger community, you are opened to more opportunities. Some WordPress users have put this forward as an argument. They think blogging on WordPress exposes them to more facilities and assistance from a wider community. Almost everything you want to do with your blog (from running a simple blog to a complex magazine or eCommerce site) is readily available on WordPress. Is that a reason to consider? What’s your opinion? Now, some are on WordPress or Blogger because someone they know has been on the platform. They have no specific reason except that a cousin is on that same platform. They simply got influenced. Some just don’t know about the other platform. They may have an idea but that’s not enough to play on their decision. I think that’s what happened to me in those early days. There maybe some other points I have not listed here. That’s why I want us to discuss and compare these 2 platforms. I have installed a comparison plugin below. Just vote for your choice and tell us why you vote for it. This comparison plugin will help us quickly know which of the two is more popular and why. I’ll also love you to share your comments using the tradition comment form below. We still love our comments don’t we? Personally, I love blogger the most in term of security and hosting-less but aside of that, WordPress is the king . .
My main blog which i know soon I’ll be implementing more functionality to it. its on WP. It’s exciting to see you here man and thanks for adding your voice. I Love WordPress 😀 Using it from last 2 years & it’s just awesome. Yes WordPress in great. However, do you intend to give blogger a try? ->If you’re planning to invest some $$$ then go to self hosted WordPress blog. NB:Actually WordPress wins due to its flexibility, never go to wordpress.com go to wordpress.org if you really wanna invest some $$$ on the other hand Blogger.com is handy works great for newbies 🙂 ! Blogger built-in comes SEO-Optimized, High-Security, Hosting Servers can handle High-Realtime traffic 😉 ! Great and detailed comment bro. Maybe I should edit the post and talk about paid blogger and paid wordpress, self hosted because essentially that’s what I’m looking at. In any case, you’ve displayed a great sense of knowing what you are talking about and thanks for that contribution. How are you set for the weekend? Well, I started my journey on a Blogger platform, and had not some good soul told me to switch to WordPress for it’s many benefits, I might still have been there! I never faced any issues on Blogger, and in fact there was a good and steady flow of a different kind of traffic on that one, but once you know you want to become a professional, then you make the change. I would suggest people to always try their first few months on a free platform, before switching to a paid one because you never know if blogging is something you’d like to do. I guess I did that myself, so just sharing it with everyone here. But of course, there is no looking back now, and yes, paid has less of security issues. Sorry to hear about Jackson’s blog, though with your backing, I am sure it’d get back on roll. I’m glad you shared your experience and advice. That’s what I can recommend especially for those who don’t have money to invest. It’s good to go free and later on upgrade. Ma’am I think the update is from Commentluv I added a comment on a blog yesterday choosed the commentluv but eventually didn’t show but am seeing others post but I know mine would also show to others. Same thing happening here that’s why I think it’s an update. This can only come from a seasoned blogger that you are Harleena. Great update Enstine, although have seen many comparison about this platforms but let me just confess that Self Hosted WordPress is the boss of all. Your contents are save and no banning privacy for hosted WP. I have uses both and have seen some differences in them. Now I uses Blogger but soon packing my load to WP. Lols…You wan borrow me the lorry or gimme as a gift….wishing you happy weekend in advance. Looking forward to posts from Enstine this weekend or are you going for a break. What is the best? Blogger o WordPress? Actually it depends on users demand! What they want? 1. If they want security then, both are secure. Blogger is secure like your gmail address. WordPress is secure as it’s controlled by you! 2. If they want to focus only smooth blogging then, both are easy to use. Blogger is comparatively easy to use than WordPress. 3. If they want SEO then, both are good is SEO. WordPress is comparatively good in term of SEO than Blogger. Because- there are many SEO features available only on WordPress like- link structure. So, point out your demand first and then choose your blogging platform! Are you actually on WordPress or blogger? I’m on Blogger with custom domain. And I have decided to stay with blogger. There are many people say me to jump to the WordPress but I am quite happy with Blogger platform as I’m not coding expat! According to me, Blogger has only four advantages over WordPress. WordPress is the clear winner here. In spite of blogger’s advantages. 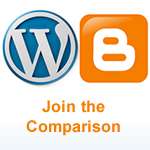 nice comparison between blogger blogspot and wordpress. but if you want flexibility and good seo than go for wordpress.org. I have been seeing your posts shared on various social media and glad I landed on this post via Harleena ma’am’s share on Google+. Security: In terms of security, Blogger is born more secure than WordPress. But WordPress is no less than Blogger. Using the right plug-ins and other functionalities WordPress can be secured. Sorry to hear about your friend Jackson. I hope you guys work together and make his blog secure from evil eyes of hackers. SEO: Talking about SEO, I have read bloggers stating that WordPress has better SEO as they are plugins to do that. If I am not wrong, Yoast is the name of that plugin, ignore if there are any mistakes in the name as I am not a WordPress user. But I think, Blogger too has better SEO features like Permalink, Search description, and with some technical know-how Blogger blogs can be ranked well. Community Features: Yes, With WordPress community features can be established far better than Blogger. But on the other hand, we have blogger with those embedded forums and also recently the makers/developers of stackexchange forums launched something called as Discourse which is the most latest advanced discussion forum which is x1000 times better than the WordPress community plugins (BuddyPress and BBPress). So people using Blogger can opt for Discourse. Widgets and Template customization: In Blogger the widgets installation and customization is easier than WordPress. I am sure, if someone has tried both the platforms; they will surely agree to this. Rumors: There are lots of rumors regarding Blogger. People say Google shuts down blogs which run on Blogger without any warning. I think, before using any product or service it is our responsibility to read the guidelines and follow them. If we break or try to bend the suggested guidelines we are surely facing their (Google) wrath. You are hear for your first time and your comment is so deep. Yes my friends, including Harleena are doing me a big sharing service and I do really appreciate that. Hi again, I am sorry I forgot to mention the most important point. Bloggers using Blogger platform often think they have an edge over WordPress blogs. This is a MYTH. In FACT, Blogger blogs are poor in ranking compared to WordPress blogs. Both the platforms have equal race and Blogger users do have chance to excel using the right tactics. Google is absolutely non partial when it comes to search engine rankings. Every site gets equal chance to exceed whether its using Blogger or WordPress. I’ll choose Blogger please! I love WP, in fact, I run one on my Localhost. Let’s put SEO aside, WP and Blogger are the same at that. But a Newbie would readily do blogging with Blogger with Little or no knowledge and No fears of Security issues. You never spoke of Hosting plans, WordPress needs some good amount of Budget to Begin with, but I have seen myself and many others who use Blogger start with Nothing, yet we’re still Earning good amount of something. I don’t see anything so good about WP apart from its Plugins, (both Premium and Free plugins) and I guess that’s the Biggest Strength WordPress can Boast of, and despite Blogger is yet to have such feature, I have still tried my Best to Code and Make my Template Stand out, some still get that WordPress feeling when they visit my blog, except for my Commenting Form again. I notice many people prefer including the URL when Commenting and this is basically built in feature on WordPress blogs. People use and/or Visit WP sites because of its Plugin, (that made it more flexible) than Blogger, and people are on WP for its Commenting form. But Blogger has better security, Faster and Easier Learning-to-use process. and Can be Started and ran on Zero Budget and still Succeed very well. In any case, stick to what works for you. Did you vote on the widget above? Sure, voting was first thing I did before moving down to comment. I want to add a comment via the widget but seems my connection went off after Signing in with my Google Profile, after then I can’t add my comment on the widget anymore, I can sign in and vote Only, but can’t comment, don’t know if it’s an error. This is really a gud Article.. Blogger Vs WordPress. I have Used Blogger but to get Traffic in Blogger is very very difficult as compared to WordPress. I am using WordPress from the last 7-8 Months. And all i can say is that WordPress is awesme… perfect SEO….and Perfect way to make Money Online.. This was an informative post. I would say ‘to each his own’ – it is a personal preference of one platform over another if nothing else, since both Blogger and WordPress have advantages and disadvantages. I did use Blogger initially but gradually moved to WordPress as I wanted to have a self hosted blog and tweak the CSS as per my requirements. Personally, I ‘decamped’ from Blogger after barely a month – even when I wasn’t paying any hosting: the options are way too restricted! The themes are limited and enhancing site features via plugins is a nightmare…not a pretty picture at all! It’s WP all the way for me. I have not had any experience with blogger but like you said, I have heard a lot that it’s limited in terms of expansion. In my view and experience, WordPress is champ among blogging platforms. We should not compare WordPress with Blogger. WordPress is actively developed. While using Blogger is very complex for newbies. On the other side, we repository of WordPress plugins. We have plugins for every task. Really I enjoy using WordPress from last 2 years. I see why people are leaving blogger to wordpress every single day. Hello muki it’s been my first visit to your awesome blog. genuinely very simple sleek blog moreover comming to the point this article is well explained. Though I too tried to explain and compare the two but could not compare the way you did man! Keep it Up 🙂 nice piece of info especially for the beginner and one who are confused. This has been a good topic of debate from a very long time. I am using both platforms and in my opinion both platforms are good at their own. The best side of blogger is Security and handling unlimited traffic with 100% uptime. No one can dare to hack a blogger blog. but as far as SEO is concerned, blogger does not allow labels to get crawled, however the good link juice still flows into them, this creates a wastage of good link juice. Second thing I would like to mention is, Permalink structure of blogger blogs is good but not the best and you are not allowed to change it as well. As far as ownership is concerned if you are on blogger then Google will always be the real owner of your blog, that means it can delete it as well if you are going against the Google policies, and your years of hard work can go into the dust anytime. I’m glad that you came up and spoke your mind here. I may be trying out blogger any time from now but as I mentioned above, WordPress is what I’m currently going with. Enstine Muki recently posted…Hotjar Review ~ The Heatmap tool to improve website usability! I never Joined with any WordPress sites still… since i’m new to blogging.. 🙂 But I think If The comment Bar Made Alike WordPress For Blogger.. It Give WordPress Sites a lag of users .. Or Is there any specialty In WordPress if the Blogger Platform made that kinda plugin over there… :???? Great comparison. I personally think, WP is the best CMS in the world. As upwards 18% sites worldwide are hosted on WP platform that says it all about the importance of WordPress. I think, the plugins and SEO features is what made WP the BEST blogging platform. I have used both WordPress and Blogger and i am still using both platforms. I must say that both platforms are great and as a developer and a code builder, i love the blogger blog platform more. In terms of traffic, the blogger blog has the advantage and also in the security aspect. But at the end the choice of being in WordPress or Blogger lies in its user, right? WordPress: More features, more comfortable than blogger. But very slow. Blogger: Easy to manage, faster than wordpress. Less features than wordpress. I think both are great. But wordpress is greater than blogger. So after reading a lot many posts out there comparing both these blogging platforms, i found this post of yours short yet descriptive and helpful for newbies. I am currently using both of the platforms and both have their respective advantages and disadvantages. But if a newbie asks me from where to start i will recommend Blogger obviously as i myself started with Blogger as it damn easy to get started with. Again a fantastic post Enstine and have a great Weekend! I must say outstanding article. I wanna to share my own experience with you because i have used both blogger and wordpress. I must say i have worst experience with blogger, when i was on peak, they decided to delete my blog :P, but after that i shifted to wordpress and i got outstanding result. WordPress is simply awesome, there are so many plugins for just one things, so i will suggest WordPress strongly. Oh oh oh sorry to hear your experience on blogger. It was a bad thing that you lost your content. Great post thanks, always good to revisit these debates now I have more knowledge. I started on Blogger (because I wanted “free”) then someone told me that the price of “free” was that my content could be removed by Google, so I decamped to WordPress and loved the increased power I found with it. I was pleased to read that Google is impartial between the two platforms on SEO as I had always assumed Blogger would be the winner. I’ve been using the internet since long and when BlogSpot was hot one but see WP leaped the market share as most-useable blogging platform! Another great post from you Enstine, I like your outline and on a personal note, i dont see why any body will prefer blogger to WordPress, as Even top Google Engineers like Matt Cutts has his blog on WordPress and i have read his article wherein he openly confessed preferring WordPress to blogger, a Company under which he works. I think that pretty much makes it clear. All thesame nice writeup from you sir. I don’t think there is any other better way to explain this. Having a blog of particular website is such a great thing. However, there are some areas where blogger is better as compared to WordPress. I would like to thank you for your great efforts on writing this great article. I have used both WordPress and Blogger both platforms at the same time, I liked the WordPress platform because of its ease to customize the template, otherwise to the Blogger platform may be due to its security. Both of them provide significant benefits in the world of blogging. You probably have encountered a very serious question which will help the newbie bloggers. Most of the new bloggers are confused on which platform to choose. To be frank, no platform is the better of two. Different people have different expectations of the blogging platform suitable for them, that is why there is no best platform for blogging. My personal favorite is WordPress as its so flexible and a large variety of modifications can be done. I am using both WordPress and Blogger. My personal experience after using both that both blogging platform are good. But I must say that the seo part of blogger is much better than WordPress. If you update something on blogger on daily basis, then automatically organic traffic will come to your blog. I personally love blogger blogs for its simplicity. If you are a beginner and only want to do blogging in the beginning then you must choose blogspot platform rather choosing a complicated platform like WordPress. Yeah!… you can use WordPress after getting some knowledge of blogging. Well, it is very tough task for me to select one out of these two. For me, both are essential. Although I work more on wordpress but blogger is a platform which I can’t neglect. So in my opinion, both are good platform to build a blog or website. If you are new to blogging I suggest you to go with blogger as it easy to use and learn! And then if you are serious about blogging, if you want to make a career in blogging then you should move to paid platforms like wordpress! Keep posting such valueable articles.